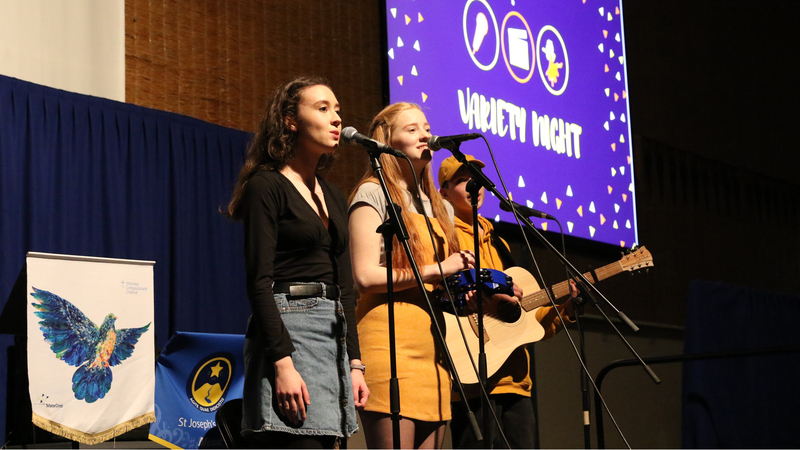 Variety Night 2018 was a night of laughter, awe and community building and a wonderful opportunity to celebrate the amazing talents of Mater Christi and St Joseph’s students. The night showcased a variety of acts; comedy, dance, poetry, singing, musical pieces, circus tricks and skits. Students from all Year levels presented their talents while other performers were backstage encouraging each other and building friendships. It was great to see both school communities joining together to raise money for the 200,000 victims of the Kerala flooding. We were humbled by the support and generosity of those who attended. Many thanks to everyone who came along to support the event, the performers and the St Joseph’s and Mater Christi students who helped with the planning, set-up and running of Variety Night.